A good product should notonly be easy to use, but fun to play with. 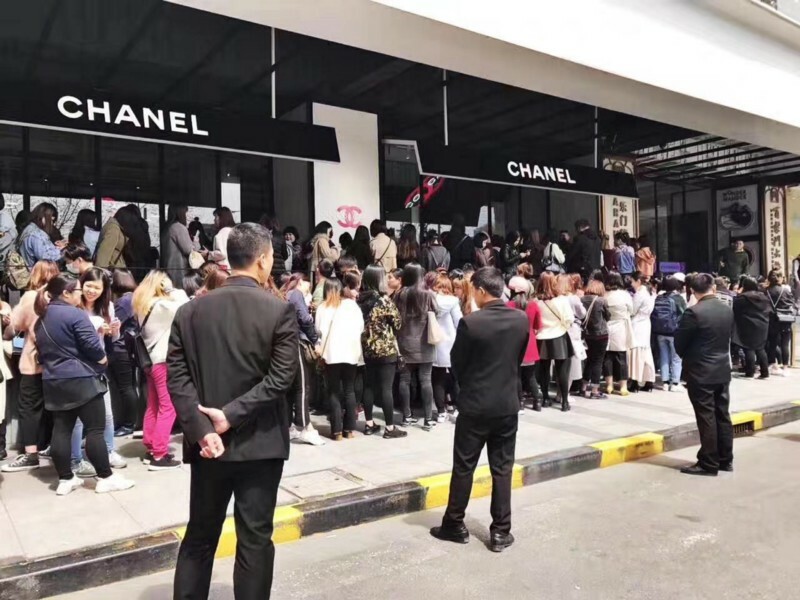 In the past few years, there’re moreand more limited edition products coming to the market, which creates a scarceenvironment for customers. Millennials are extremelylooking for difference and their own personality, so the style and brand reallytells who they are as individuals, which matters to them a lot. Oreo Music Box and NikeBadge for kids, these things all show that a customized product with limitededition on special days, making people who get them want to share on socialplatforms even more. Ads are always annoying,because it is so different from the content people intend to consume. In 2017,there’re more and more native ads. As I mentioned in Starbucks case, when yousend a Starbucks gift card to your friend, it looks like a transfer or redpocket, but with Starbucks’s color and theme. TripAdivsor in Moments feedsshare the common traits. It looks like one of your friends’s post, and you cancomment and like them, and sometimes, they will reply your comments as well. When people start enjoyingyour content, they doesn’t feel like reading an ad, instead, they remember theinformation for that glimpse of time, which is insanely effective. The rise of Douyin 抖音 perfectly shows us how shortvideos are capable of. 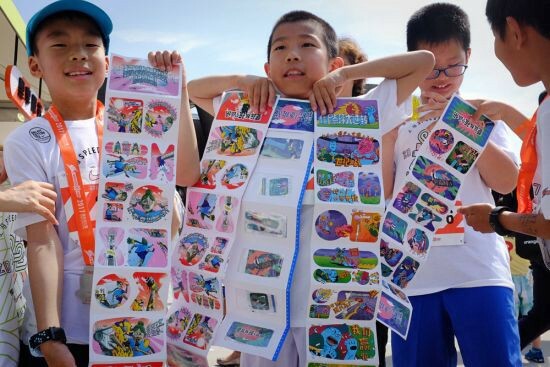 Stickers, super slow motion or fast motion, has equippedyoung people much space to create and express themselves. Traditional video companies,micro blog or new feeds platforms, they all publish their short video products.While the brands like Michael Kors, Adidas and OPPO also make their productlaunch or debut on short videos. Now business/marketing content has alreadytaken 10% of overall content share, and the monthly average number ofadvertising short videos has increased from 20 to 60. In 2018, there’s no doubtthe number will keep growing, but the way to shoot or edit short videos mightbe slightly changed. Offline marketing campaignsbecome a big deal in 2017. It no longer represents posters, brochures or boringgames, but “flash mob” campaigns, or super long and creative writings as Imentioned in the cases above. Sad Tea shop, Channel CocoCoffee shop, QQ Music Box, selling products has never been the main purpose ofthis campaigns, but showing off beautiful concepts, design and being fun. Ithas to be full of engagement and easy to spread. Young people are extremelypassionate about cool experience, not just cool products any more. 5. 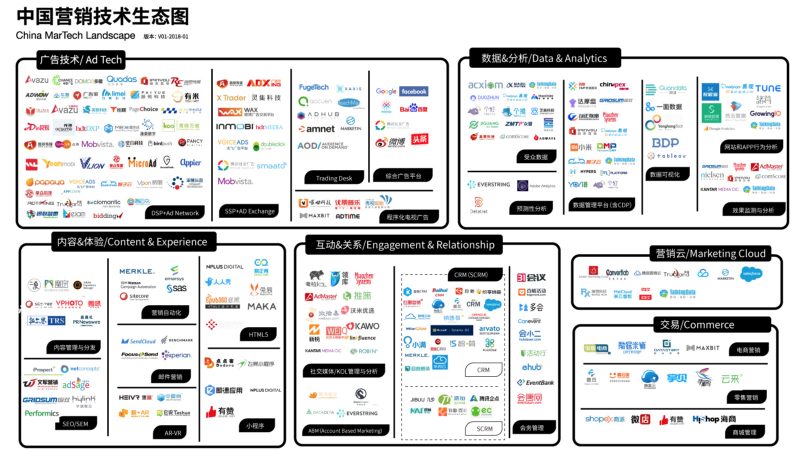 AdTech + MarTech = ? According to Forrester’s Prediction2018, as more brands are working on improving consumer’s experience technologyto attract potential users, the budget of marketing and branding will score adouble-digit growth. AdTech enables theprogrammer buying and selling of ads, meets website traffic need and reachesaccurate users. MarTech is from advertiser perspective, how to solve problemsand expand users with sales and marketing management within the company. 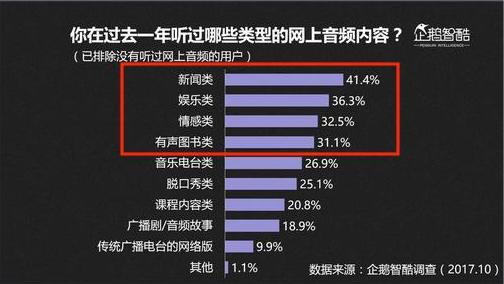 According to Tencent’s data,there’re 75.5% of Internet users has consumed at least one time audio content,and the tops are news, entertainment, relationship and audio books, with thepercentage of 41.4%, 36.3%, 32.5% and 31.1%. However, around 45.4% peoplementioned the audio only takes one tenth of their overall consuming. According to CC-Smart’s newresearch on Chinese Internet Audio Report 2017, they forecast the user volumecould reach 242 million, with monthly 20 million active users on average, and40% year-on-year growth. Audio has 4 clear businesspaths, including advertisement, paywall (similar to Medium’s Paywall, copiedfrom WeChat official account), smart home devices and audio book publications.They are positive about audio market and believe in 2019, there will be moremature business models with creative approaches. 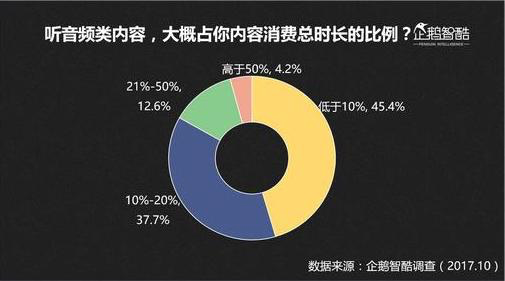 Currently the audio marketwas mainly dominated by 3 platforms, Himalaya (喜马拉雅), QingTing FM (蜻蜓FM)and Lizhi FM (荔枝FM),which together hold 70% of Chinese Internet audio market. Back in 2016, there’s an appcalled Dedao 得到coming out of nowhere (actually from WeChat official account), and pushbusiness model “pay for knowledge” to a higher level. According to Dedao CEO’s tweet in Feb, 2017, theyreached 5.3 million users, with 420 thousand daily active users. Dedao invitesone of the best in certain field and covers as many topics as they can,economics, psychology and philosophy, you can pay and join the class for lessthan a dollar; they also pull out the key insights from good books, and make a10–15 min book summary with audio version (similar to what Blinkist is doing). I asked many friends aroundme, how do they use their Dedao app, they are studying or working on big citieswith a lot of pressure, but the motivation to learn is incredibly tremendous.Yet not many people manage to consume all the content they’ve purchased. Theones who do only purchased one or two courses they are really passionate about,and it’s easy to keep engaged and learning. I also notice some friendsof mine in Shanghai or Shenzhen start creating their own audio content on theirWeChat official accounts and the platforms above, but normally as a newdistribution of their content, not all in audio. There’s no doubt audio isgoing to be huge in China as well, and we’re excited to witness more creativebusiness models and applications of audio getting into people’s lives.